I've had a busy Saturday. It's been a fun day but I'm WORN OUT! I started the morning by going to our church. Our women's ministry does something twice a year called "Mugs and Muffins". We start by having coffee and muffins and then have a speaker/singer. It's always been just wonderful. Today my friend Rachel's sister shared her testimony of her son who is 9 and has had cancer since he was two and just what God has done in their lives through that. Her husband is in the ministry and they also have three other kids. Xander has relapsed and there are not many kids who have lived as long as he has with what he has. But he is in remission today! Their family just has an amazing story and a wonderful outlook on giving God the glory no matter the circumstances. 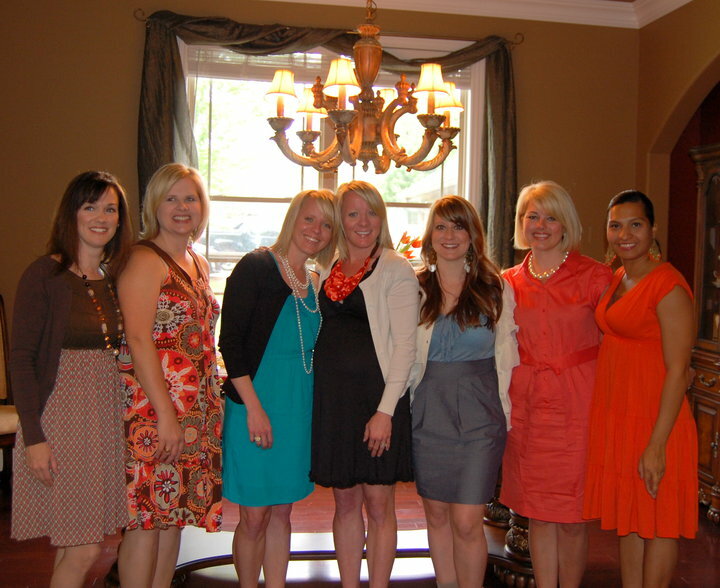 After that - I headed to a baby shower for my friend/neighbors Melissa and Chad. It was a couples shower. They are expecting baby Grayson in about 6 weeks! 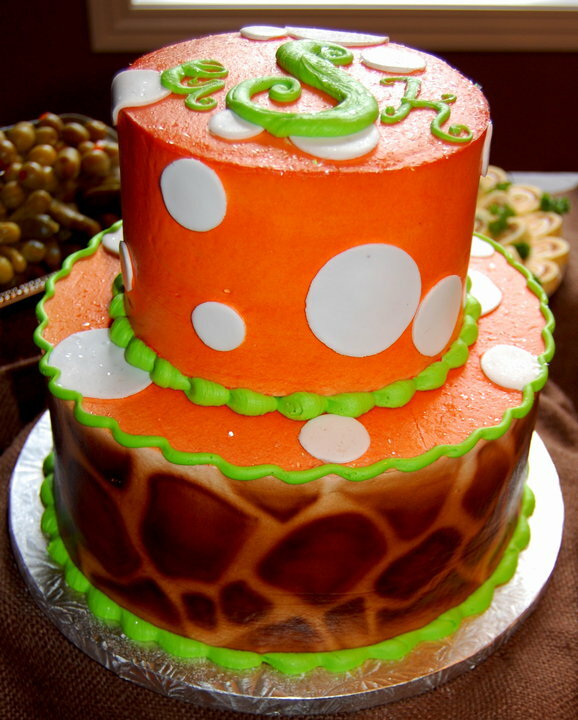 The cake from our favorite bakery, Rick's. It was chocolate and red velvet! Yum! This matches their nursery! The candy table. We included lots of things Melissa craved during her pregnancy like cheerios and teddy grahams! Front table. My friend Ashley did the decorations and she should honestly go into business. Everything was SOOOO cute! 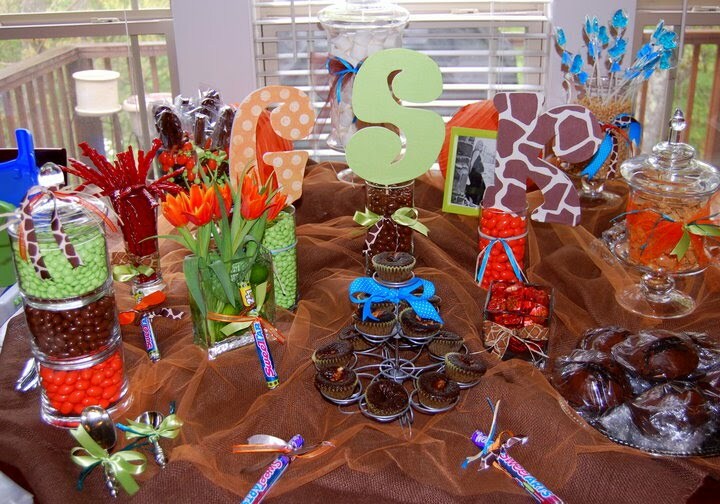 Um, who doesn't love a chocolate fountain? 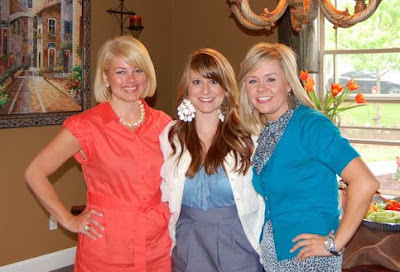 I had fun visiting with Julee and Jennifer. Do we not look like we are heading to a Florida Gator or Auburn football game? It cracked me up. (Julee said "You are always thinking SEC") (Yes I am crazy like that). Chad and Melissa opening gifts. I'm so happy for them - I prayed for this baby for a long time! And then tonight we headed to a birthday party for a little boy named Drew who turned 4! It was held at Jump Zone - a local party place with tons of inflatables. I wasn't sure how Harper would do. She was like a Jump Zone MANIAC! The girl went nuts. She was running around and having the time of her life. The party started around her bedtime which worried me but she had SO much fun. Here she is with her friend Wells. She and I got in one big inflatable and went down a slide together about 25 times and she just laughed and laughed. It was SO fun! All the kids. You can imagine how easy this picture was to take. The birthday boy is in the back with his arms crossed. Harper kept falling off (or crawling off) so we told Emily to hold on to her for dear life. And now it's 9:30 and I need to start studying. I'm teaching 7th grade girls Sunday School in the morning. (I just got asked late this week so I'm not too terrible of a procrastinator). ha! Hope your day was wonderful too!